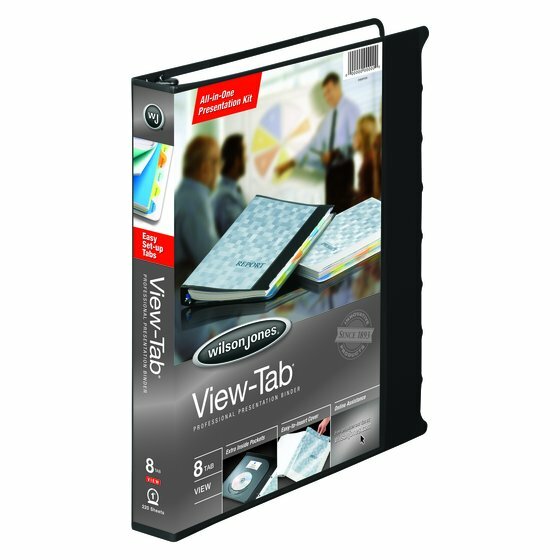 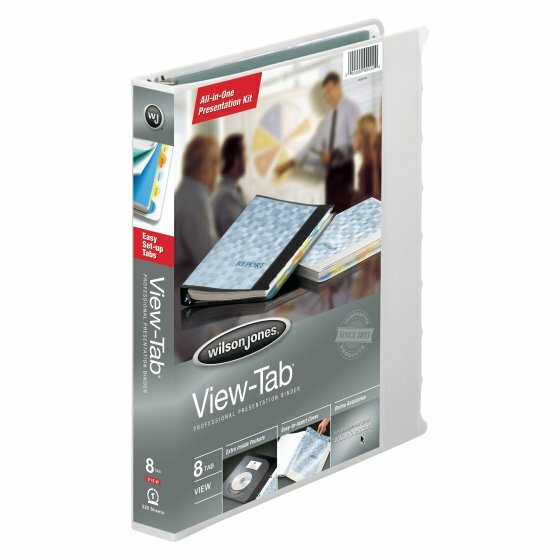 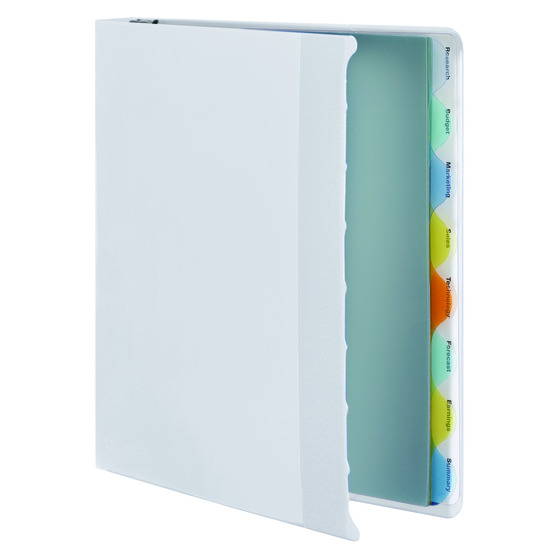 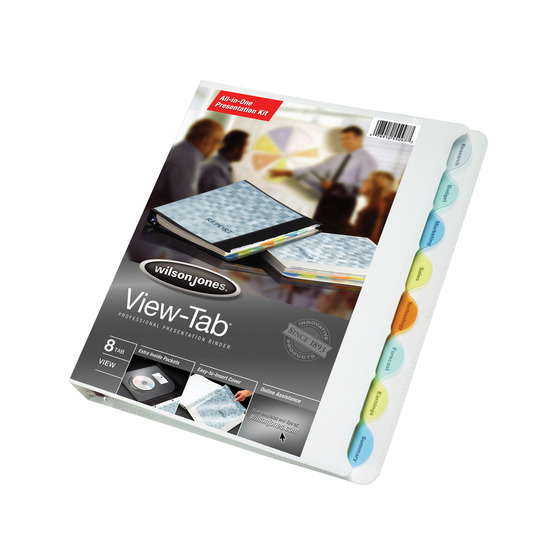 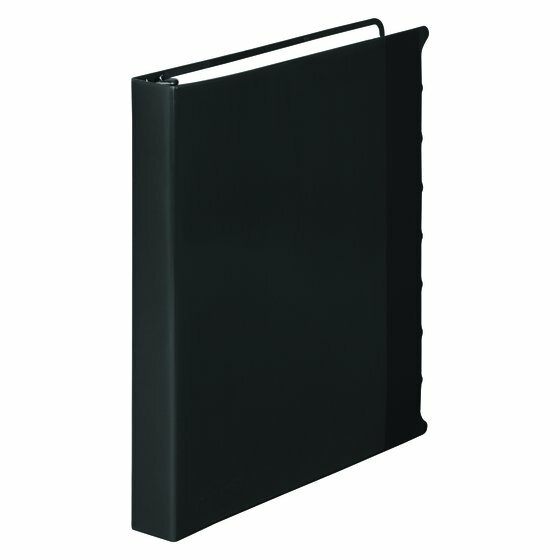 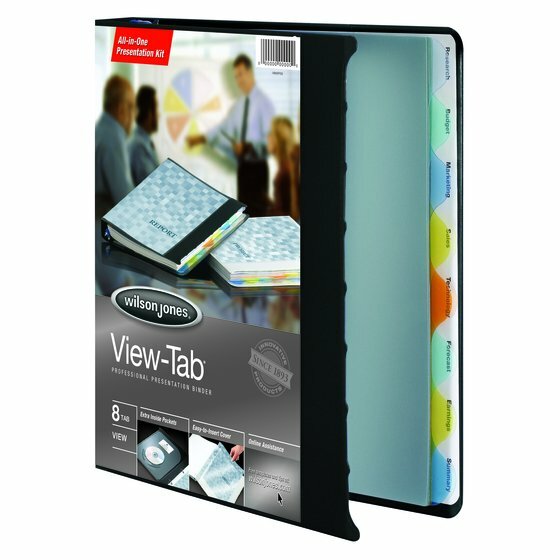 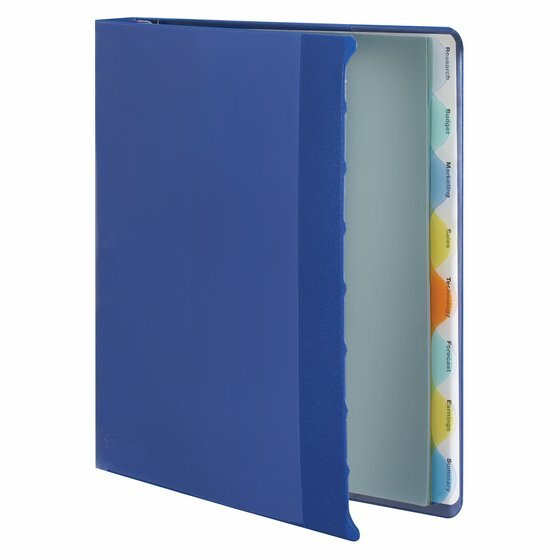 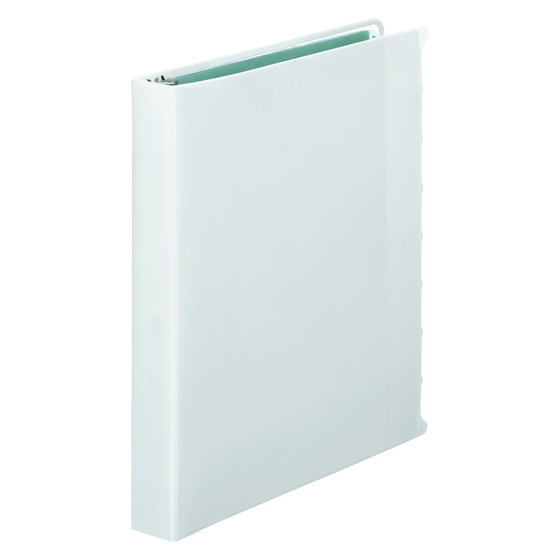 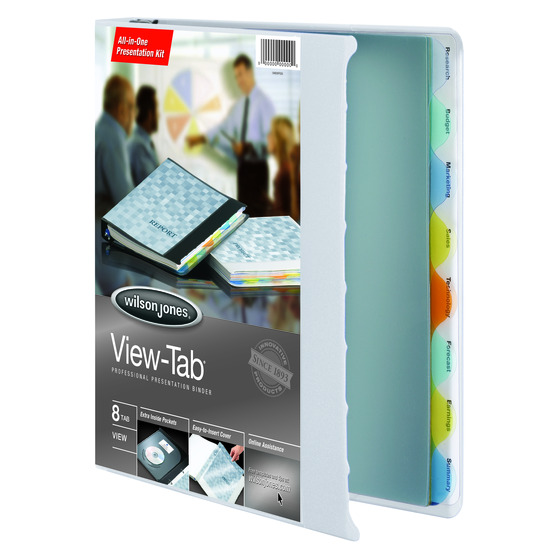 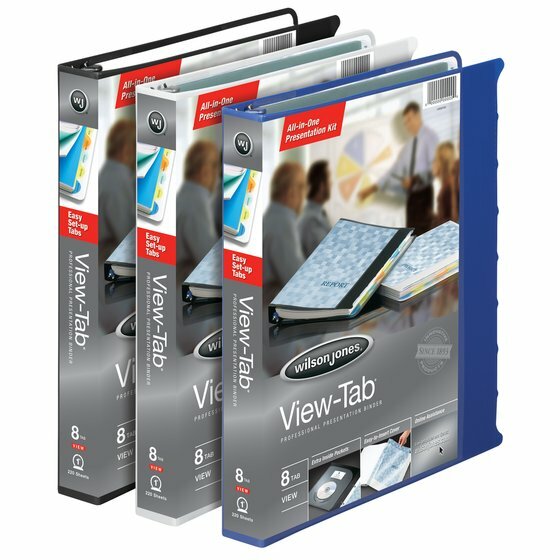 Wilson Jones - Binders - Select the Perfect Binder - Wilson Jones® View-Tab® Presentation Binders, 1"
Poly presentation binder comes complete with a set of eight View-Tab® dividers. 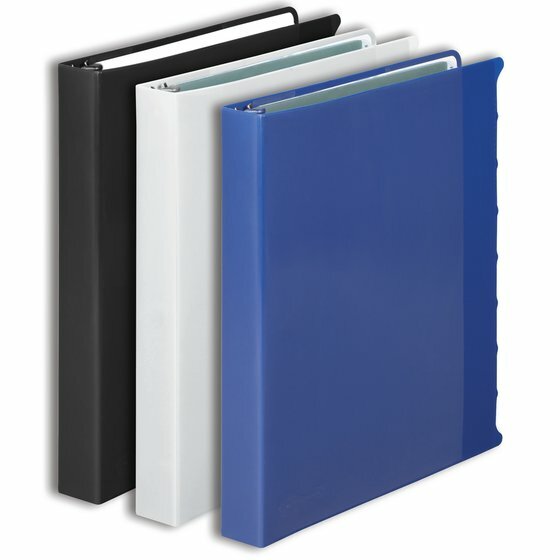 Print all your titles on one sheet and place it in the sleeve in the back of the binder. 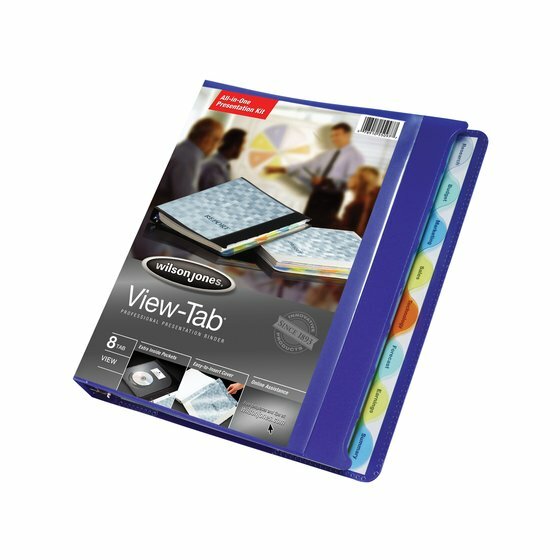 Titles show through the translucent poly tabs, eliminating the hassle of tiny inserts.